Brands and businesses from almost quarters of the business world have tasted enormous success by partnering with top animation production companies for their branding, advertising and marketing efforts. Most B2B and B2C companies use videos to market themselves – and animation is perhaps the hottest marketing trend right now. 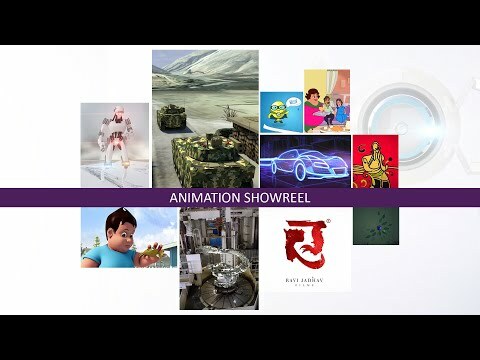 Toolbox Studio is rated amongst the leading animation studios in India, thanks to our artistic and technological capabilities that have earned us international recognition and several accolades. Take a look at our diverse work in the animation space! Storytelling becomes so much more effective when you use animation as the medium! Add a touch of familiarity and fun to your project with our highly-rated 2D animation services. Transport your audience into a different world of possibilities with the suspension of reality that Toolbox Studio’s stellar 3D animation makes possible! Training of any kind delivered via animated videos is way more effective than traditional learning models. Add a dash of animation to your eLearning efforts! Create the illusion of motion with a seamless marriage of graphic designing, motion and sound with Toolbox Studio’s Motion Graphics experts. Craft realistic-yet-mock representations of your prototypes or products and examine how they interact with a 3D space with our expert 3D product modelers.